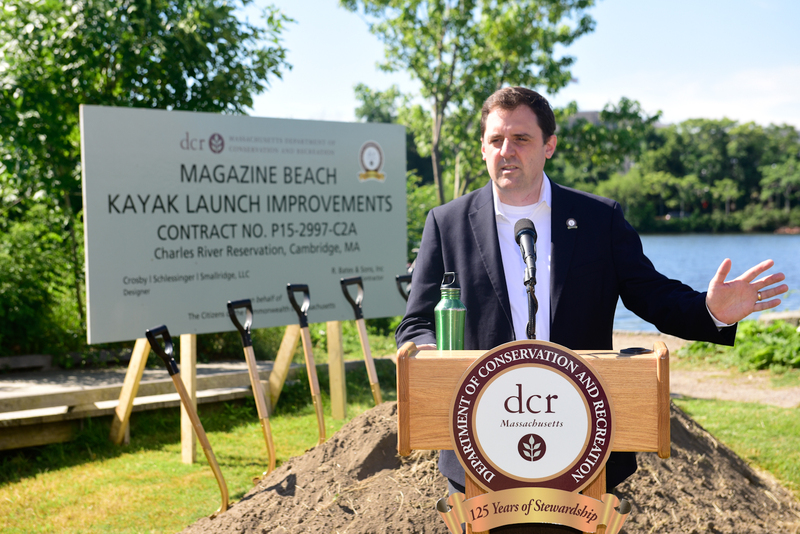 On Friday, June 22 at 9am, the Massachusetts Department of Conservation and Recreation (DCR) will hold a ground breaking for the NEW ADA-accessible canoe/kayak launch and outlook at Magazine Beach Park. It will be at the end of the Cottage Farm parking lot (beside the BU Bridge). 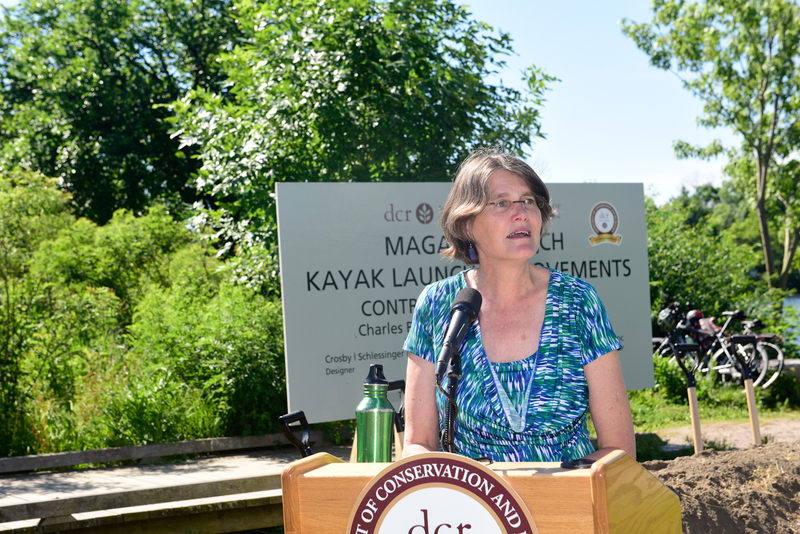 The current launch will be expanded from 10 feet to 30 feet wide and an adjacent river observation deck will be added—both to encourage greater engagement with the river. 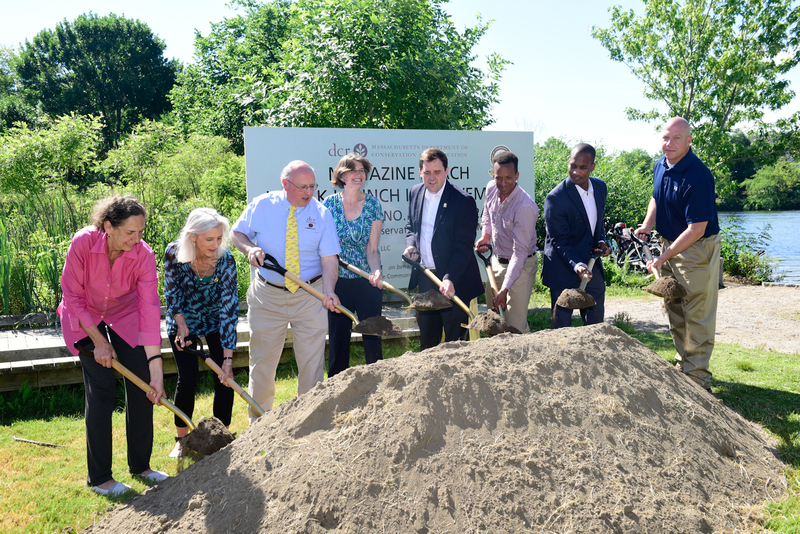 As part of the plan a boardwalk structure will also be built that will improve pedestrian circulation through the area. 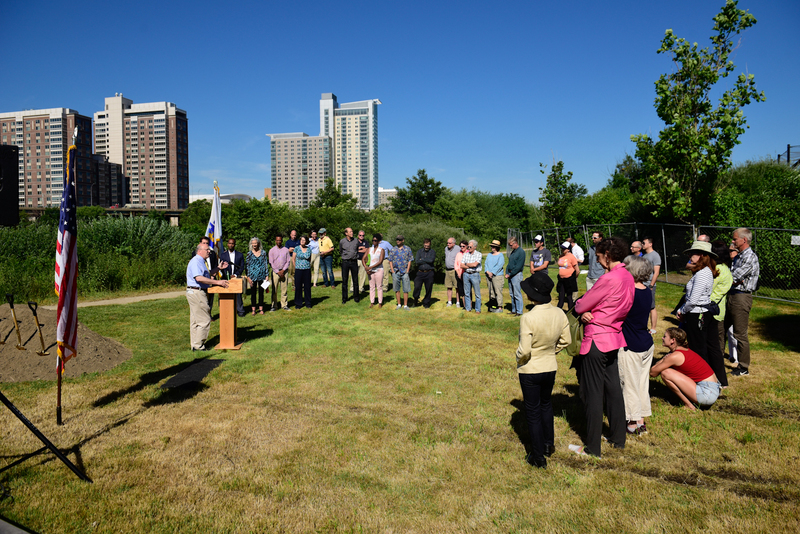 These improvements are part of a larger Crosby Schlessinger Smallridge (CSS) Phase II Plan for the park. 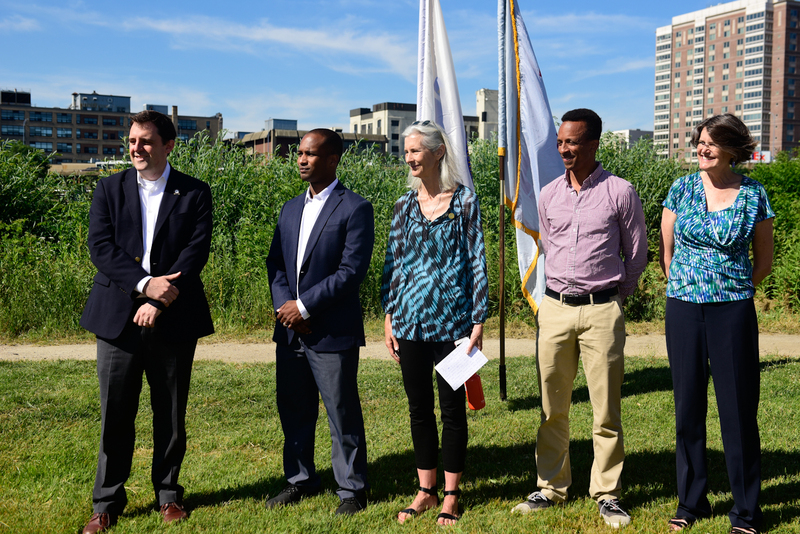 As one of few public canoe/kayak launches on the Charles River in Cambridge and Boston (others are at Kendall Square, Allston/Brighton and at Community Rowing) this will be a great draw for small boat users. 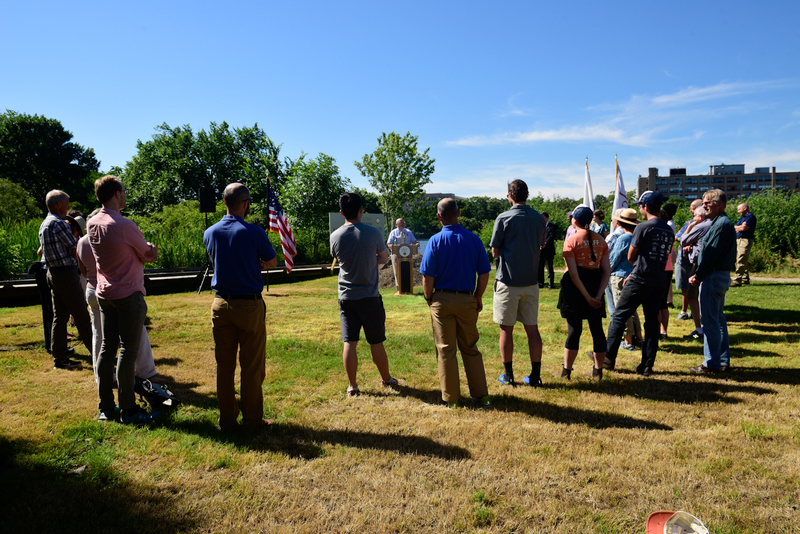 PADDLEBOSTON: Charles River Canoe & Kayak’s General Manager Mark Jacobson, who operates two rental centers on the Charles, says that people ask regularly for a public launch somewhere in between. 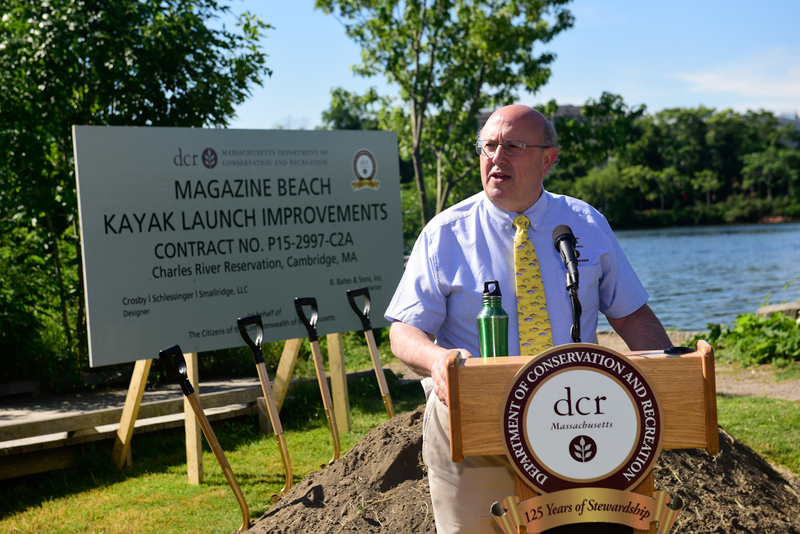 In their 2002 Master Plan of the Charles River Basin, DCR made Magazine Beach a riverside “destination.” In 2010, Cambridge featured it in their Riverfront Plan. 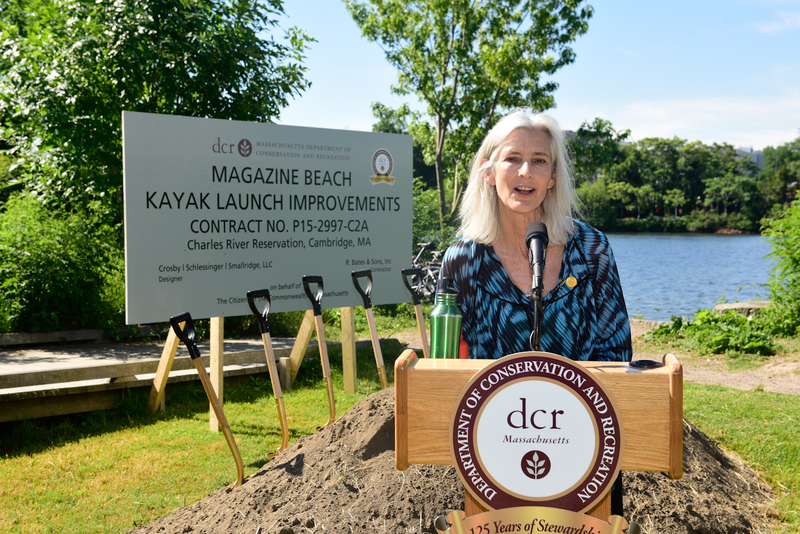 Over the past seven years, Magazine Beach Partners (MBPs, formerly a subcommittee of the CNA) has been working with the DCR, the City of Cambridge, and the community to keep the park accessible and welcoming through improvements to its built and natural grounds. At 17 acres, Magazine Beach is Cambridge’s second largest park. This event will be one of many official celebrations at the park this summer. Friday June 8, the new spray deck opened. Friday, June 22 will be the ribbon cutting of the launch and outlook. And July 7 will be the ribbon cutting (and 200th Birthday Celebration) for the newly restored Powder Magazine. Things are happening at Magazine Beach! 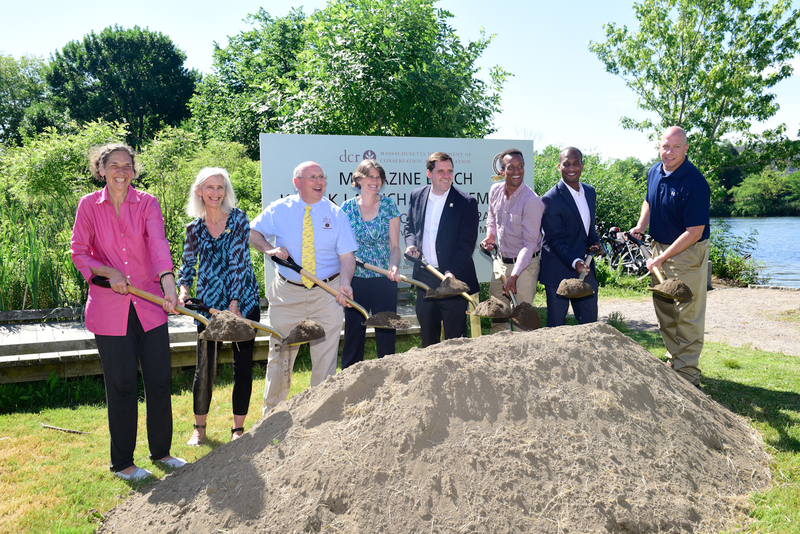 BioMed Realty, KimCo Realty, and the Judy Record Fund, Mass Audubon. For further information about summer programs at the park and recent efforts to improve it, go to: magazinebeach.org.